1. What are the pre-installed apps in Mi TV? Media player, Settings, Gallery, TV Manager, Sensy TV Guide, YouTube, Play Movies, Play Music, Play Store, LIVE TV. 2. What are the different sound and video modes available on the TV?  Pre-set Video modes: Standard, Movie, Picture and Sports. Users can also customize the display parameters.  Pre-set Sound Modes: Game, News, Movie and Standard. Users can also customize the audio parameters. 3. Which DTH / Cable Operators are supported by Mi TV? Mi LED TV PRO supports 4000+ DTH/Cable Operators across India. 4. How do I update the TV software? 5. Which app store can I use to install apps? Mi TV comes with Google’s Play Store. You can find TV apps in the Play Store. These apps are specially made for TV. Please note: You will not find all the apps that you find on your phones on TV Play Store. 6. Can I change TV channels using my Mi TV remote? Yes, you can. 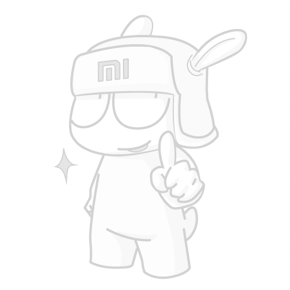 Please ensure that the IR cable is connected to the Mi TV and is facing the Set Top Box. Configure the Set Top Box under Sensy TV Settings, and you are good to go. 7. Can I use the Mi Remote with CEC supported devices? 8. How can I get Demo and Installation for my TV? Please Note: Installation & Demo within first 15 days of purchase will be free of cost and after this period customer has to pay for the installation. This is applicable only for one visit of Installation & Demo in first 15 days. 9. Is IR cable compatible with all the set top boxes? Yes, it is compatible with all set top boxes which have an IR sensor (IR set top Box) in it. 10. Will the TV support 3rd party application? Yes, 3rd party applications can be downloaded on the Google Play Store. 11. Does the TV have Chromecast option?